Washington Regional is putting the finishing touches on a newly redesigned 20-bed Neuro ICU. 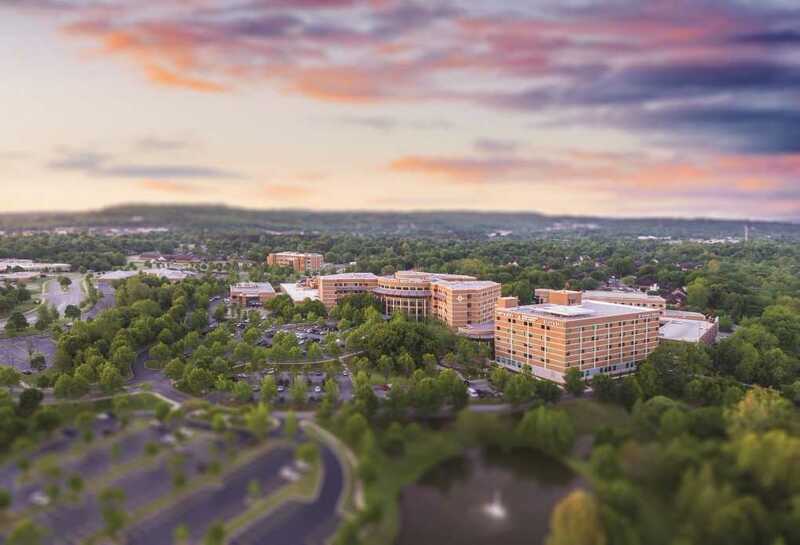 Washington Regional Medical Center is a 425-bed acute care hospital located in the heart of Fayetteville, Ark., which in both 2016 and 2017 was listed among the top five cities in U.S. News & World Report’s Best Places to Live. Situated in one of the nation’s fastest-growing metropolitan areas, Fayetteville has become a center of culture, commerce and entrepreneurialism. The surrounding area is home to headquarters for several Fortune 500 companies, and the city boasts first-class performing arts centers, active farm-to-table food scene, vibrant festivals and live music venues. Nestled in the Ozark Mountain foothills, Fayetteville offers easy access to the Buffalo River – America’s first national river – and nearby biking and hiking trails that were recognized last year by Outside magazine and National Geographic.